My week ten was a little bit depressing. I was sick most of the time and I just can't bring myself to be happy and excited about life. I have these uneasy feelings that life is not going to be the way I want it. I missed my mother so much. Sometimes I feel like I can't breath. I just don't know how to live without her. Sometimes I feel lost. DAY 061- My first Monday at home. My kids are busy with their own world and suddenly I feel lonely. My cough is getting worst. I can't sleep at night. 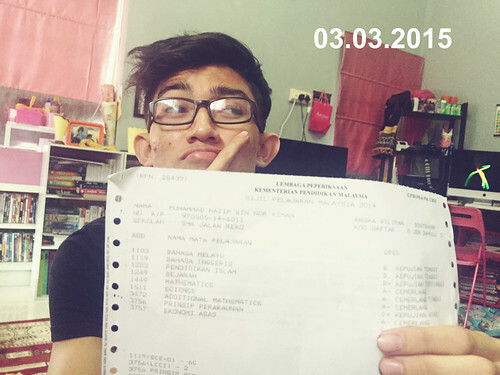 DAY 062- SPM results was announced today. Alhamdulillah Hazim got 4As. It his highest achievement so far. DAY 063- My two boys are doing their own things. 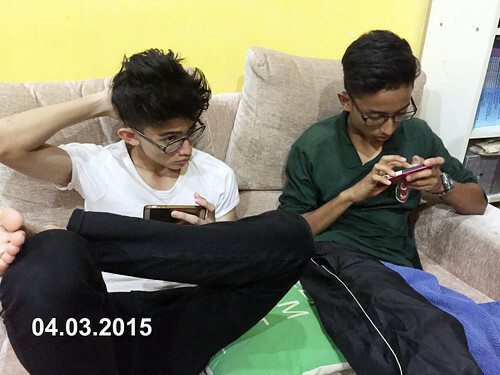 Both looking at their phone probably playing some online game. DAY 064- My darling son, is so in his elements. Getting him to look at the camera is not an easy thing. He kept looking at other places except my phone. DAY 065- I am getting a little bit better and stronger today. 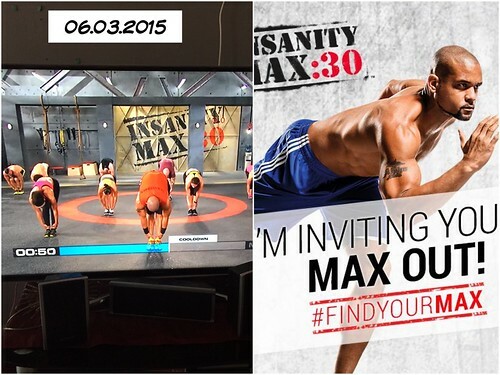 So I decided to do Insanity Max 30, cardio challenge. Wow! So tough for a 30 minutes workout. 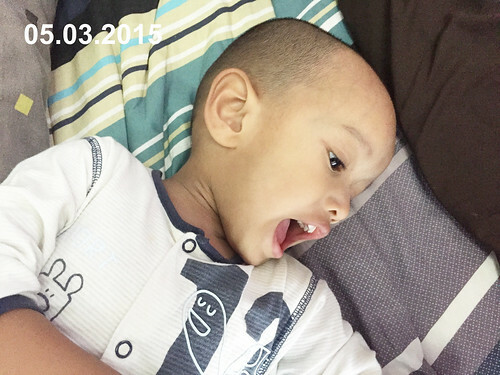 DAY 066- We went to Multimedia University Open Day 2015. Looking for a faculty that peek my son interest. We decided to fill in the online form and registered. Lucky for him he got the acceptance letter for Foundation in Creative Multimedia. Which will starts in June 2015. 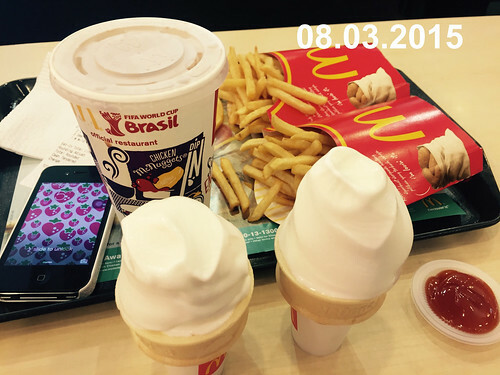 DAY 067- When I am feeling depressed, I always take an ice cream and hang out at MacDonald. I just had to get out of the house. Somehow I feel suffocated, drown in my own sorrow and depression. 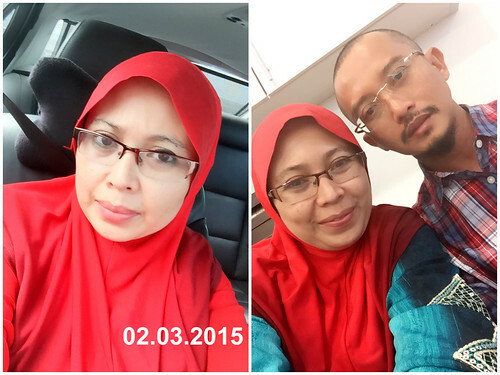 TAKE A LOOKED AT MY 2014 JOURNEY HERE. These are my life in photos for week ten for 2015 . So many things happened and if I don't take the time to document them I might miss a lot. I still believe when you took the time to document the every day and the good things that happened in your life, you will be more grateful. Just saying. Do you join Project 365 this year?